PT360 is a comprehensive physical therapy center equipped to treat most orthopedic and sports medicine problems. Our services include but are not limited to: manual therapy, functional dry needling, exercise performance, TPI golf assessments, running assessments, and Redcord/Neurac. Here we don’t treat numbers, rather we believe in a personal, supportive relationship with our clients. Our physical therapists will provide you with hands-on, one-on-one service during every visit. Manual Therapy encompasses a multitude of skills that our therapists have received advanced training for. Manual therapy includes spinal mobilization and manipulation, joint mobilization, myofascial release, and muscle energy technique. Manual therapy is most successful in an unhurried, one on one environment, and by an experienced practitioner. Functional dry needling is utilized by our physical therapist for treatment of myofascial pain and trigger point release. Extensive training is required in the state of Georgia to perform this technique. 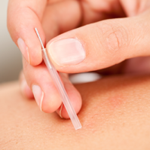 While an acupuncture needle is used to gain access to the muscle, functional dry needling is not acupuncture and is not based on eastern medicine. Our Physical Therapists have over 20 years experience as your exercise experts. Whether you are just entering into a fitness program or a triathlete looking to improve your performance, our trained eyes will guide you through a logical and effective exercise program that is evidence based. Our physical therapists are highly specialized to treat orthopedic and sports medicine problems. You will have access to our board certified orthopedic specialist (OCS) as you progress through your recovery. We work with Atlanta’s finest sports medicine and orthopedic physicians to deliver excellent coordinated care. Learn more about board certified orthopaedic specialists (OCS) – http://www.abpts.org/About/Statistics/. Our physical therapists are leaders in their field for the treatment of sacroiliac joint dysfunction and have co-authored both books and articles on the condition. We regularly teach courses to other physical therapists on our treatment method. We have successfully rehabilitated patients from around the world with SIJD. 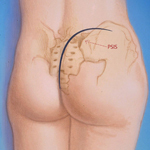 Learn more about our specialty in spine and sacroiliac joint dysfunction. Redcord is a suspension system that is used to offload painful and dysfunctional areas of your body so that you can successfully perform and exercise a joint(s) that may otherwise be impossible without compensation. Neurac is the physical therapy version of Redcord which requires advanced training. Blood Flow Restriction Training (BFR), is a safe and effective training technique used to increase muscular size and strength using a FDA-approved tourniquet system. Weight training with BFR can recreate the stimulus of heavy resistance training except very low weight is used during the exercise. Growth in muscle tissue can occur in as little as two weeks. BFR is great for post-surgical patients who have not been able to regain muscle strength with conventional physical therapy or athletes looking to increase power and strength. TPI is the world’s leading educational organization dedicated to the study of how the human body functions in relation to the golf swing. TPI analyzes how physical limitations in a player’s body can adversely affect the golf swing and potentially lead to injury. Sam Kridl is our TPI certified physical therapist. 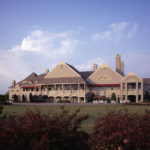 PT360 is now seeing members onsite at Cherokee Town and Country Club. Ask about our availability at Cherokee. Our affiliate Pilates of Dunwoody offers great one on one sessions for all levels of experience. Their instructors are experienced and highly qualified to help you achieve a more balanced healthy lifestyle. Contact Holly at 770-522-0252 for information.